Total shoulder arthroplasty (TSA) is becoming increasingly more common as a treatment for disabling pain or impaired shoulder function. Dr. Jonelle Petscavage, a Medical Metrics’ (MMI) consultant, recently published a two-part review in the American Journal of Roentgenology on the current state-of-the-art in shoulder arthroplasty. Covering topics such as epidemiology, history, preoperative imaging, hemiarthroplasty, anatomic and reverse TSA, and non-prosthetic resurfacing, Dr. Petscavage represents the level of expertise that sponsors can expect from collaborating with MMI on their regulated and non-regulated orthopedic studies. 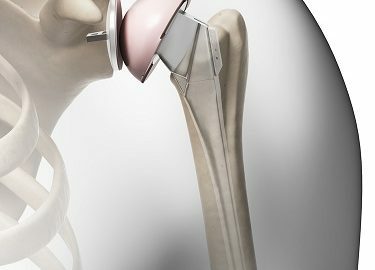 MMI has been able to leverage this expertise in the support of several new stemless shoulder arthroplasties. The stemless humeral component design represents a novel approach to reducing the complication rate found in traditionally-designed TSAs.